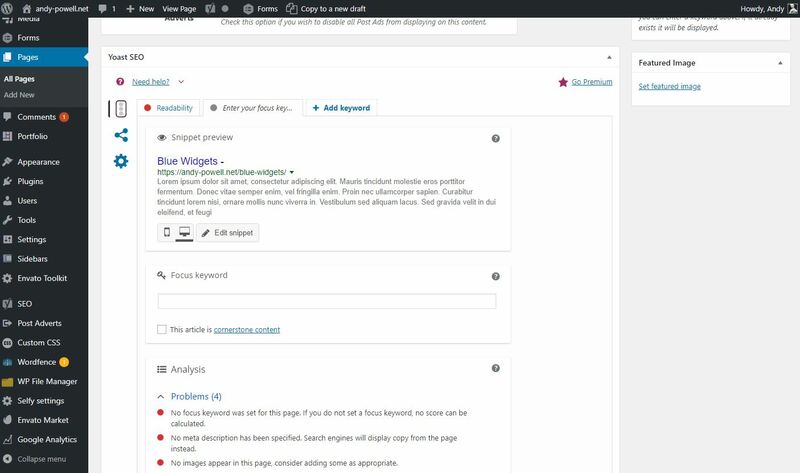 One of the most popular Search Engine Optimisation (SEO) plugins for WordPress is Yoast SEO. 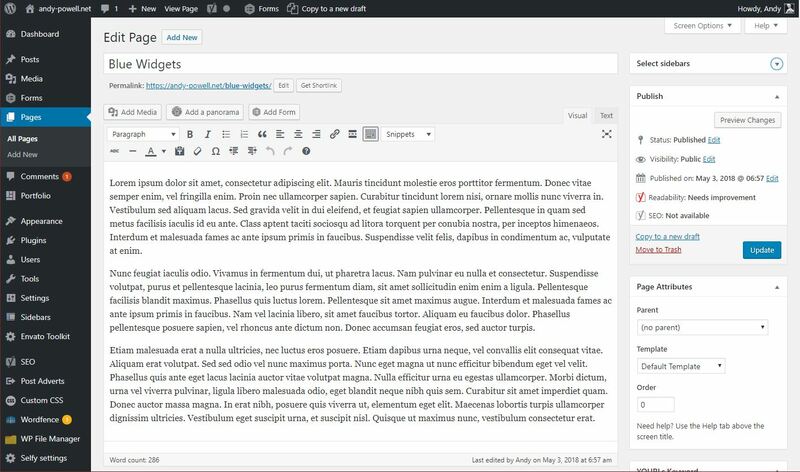 This plug in makes it easy to set meta data for any given page or post along with a handy traffic light system to guide you through optimising your content. First you need to install the plugin, if you do not know how to install plugins take a look at this post first. 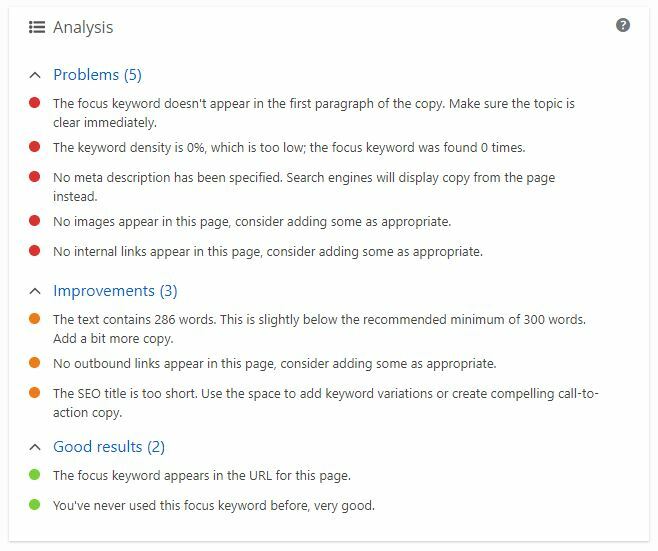 Once installed follow the steps below to optimise a page. 3. 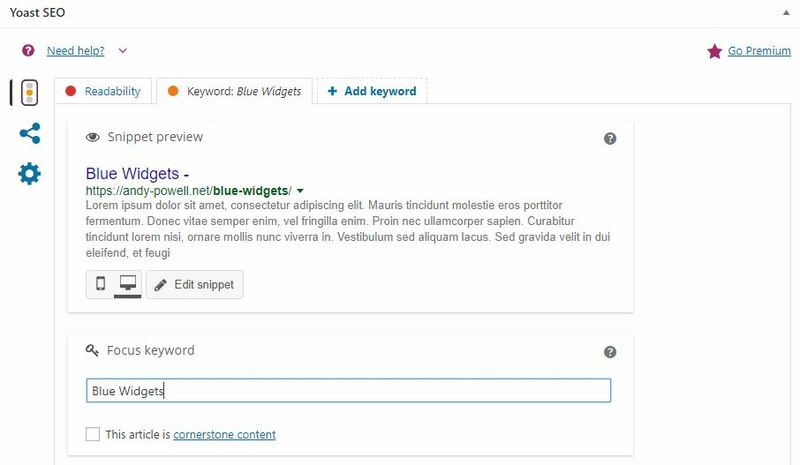 Enter the word or phrase you want the page to rank for in the “Focus Keyword” box and a traffic light indicator will display at the top of the tab (and at the top of the page). In this example it’s Amber. 4. The Yoast section will now display problems and improvement that can be made to the page, work through each of these making improvements where you can. The aim is to get as many green lights as possible. 5. If “No meta description has been specified. 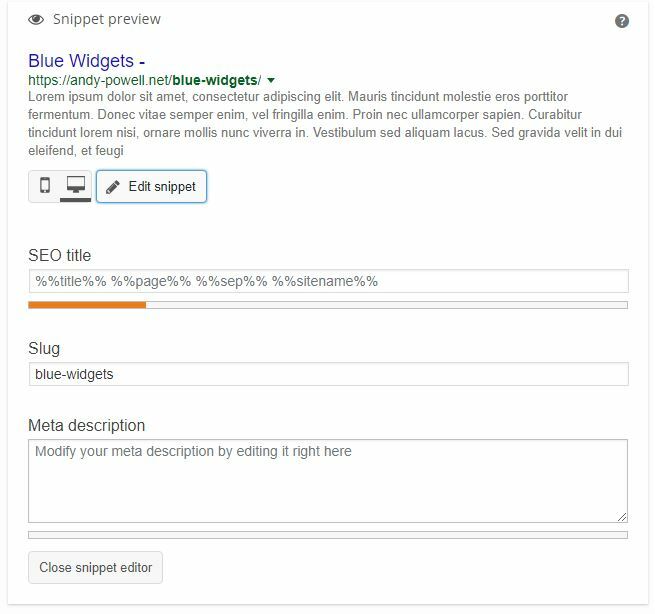 Search engines will display copy from the page instead.” is indicated click the [Edit Snippet] Button which will allow you to specify the meta information (Title and description) for the page. 6. Once you are happy with the changes you have made scroll to the top and click [Update] to save them.